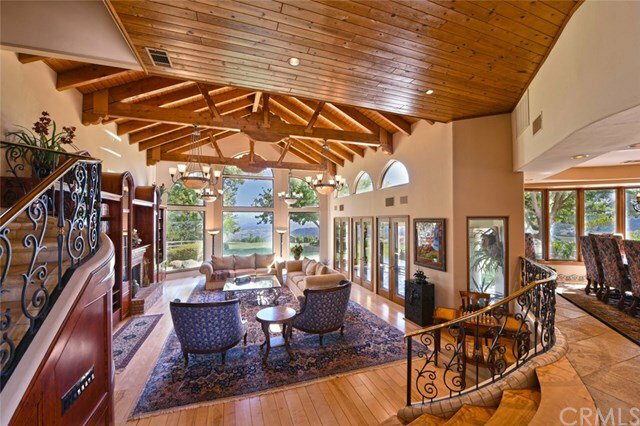 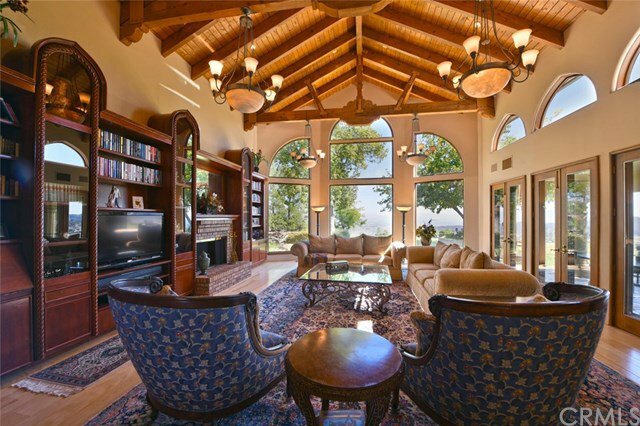 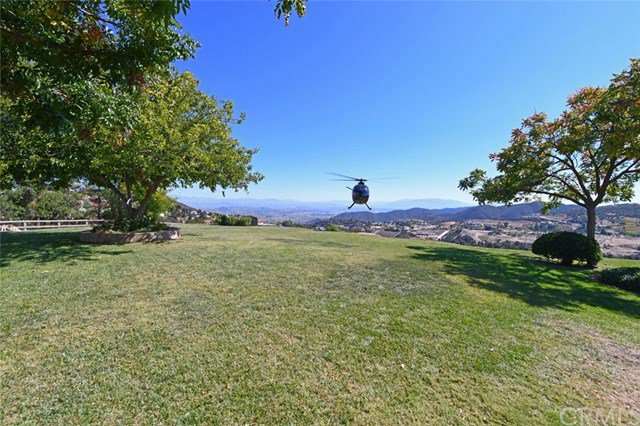 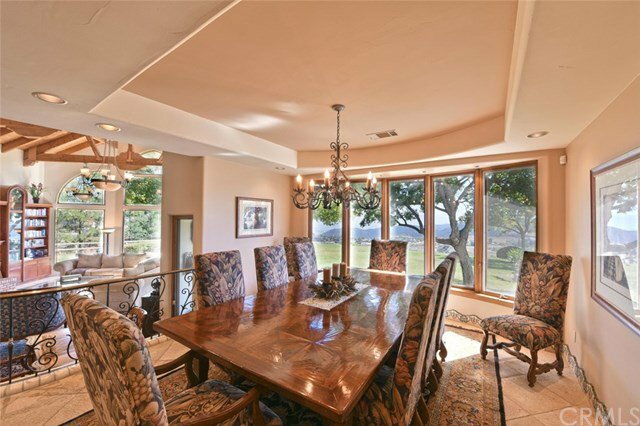 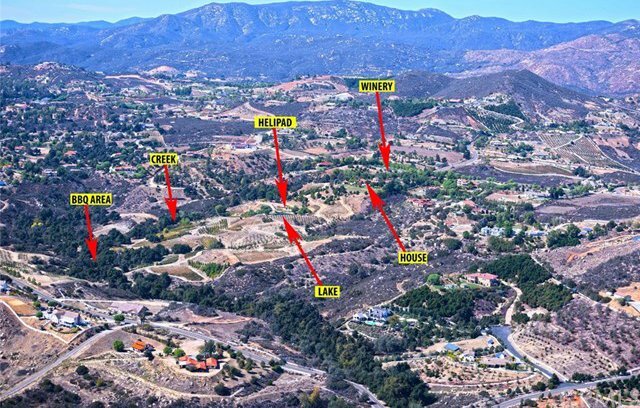 Perched majestically atop the Santa Rosa Plateau, 21 miles northeast of the Pacific Ocean in the estate community of La Cresta, this stunning 57-acre estate features unobstructed views of Temecula Valley, the mountainous hillside and the sparkling city lights. 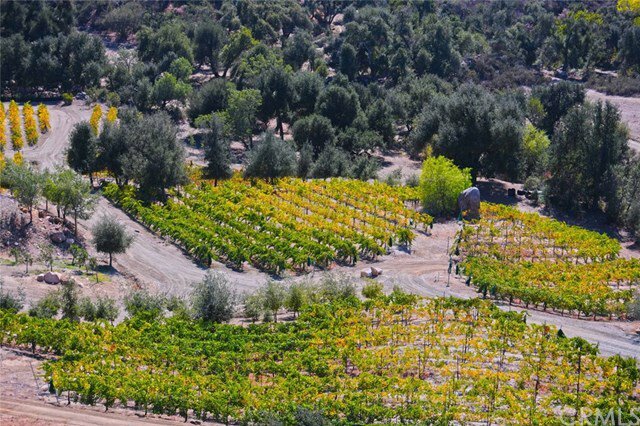 The temperate climate and coastal breezes are ideal for thriving vineyards and active lifestyles. 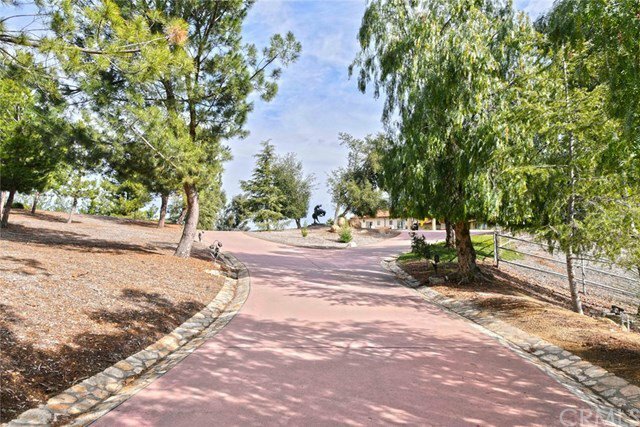 You’ll find European inspiration throughout, from the lush landscape—complete with irrigation system—to the classic columns and ornate balustrades. 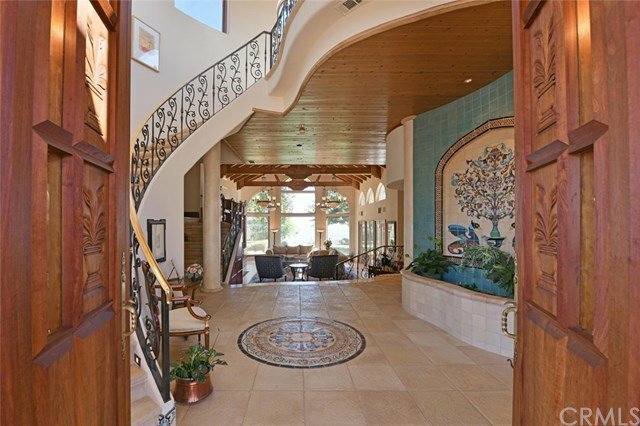 Constructed with custom materials of impeccable quality, the 7,200-sq-ft main residence is an architectural gem amid perfectly sculpted surroundings. 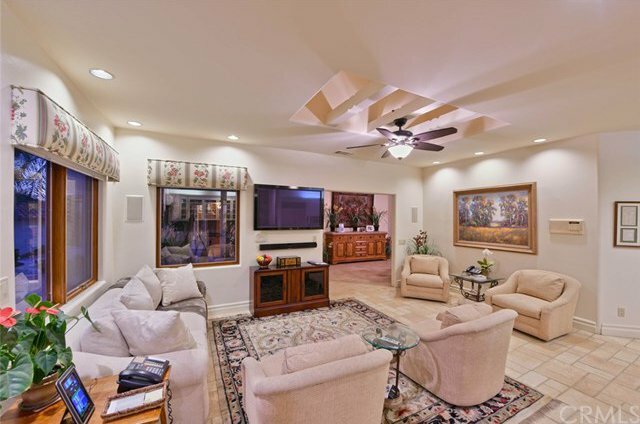 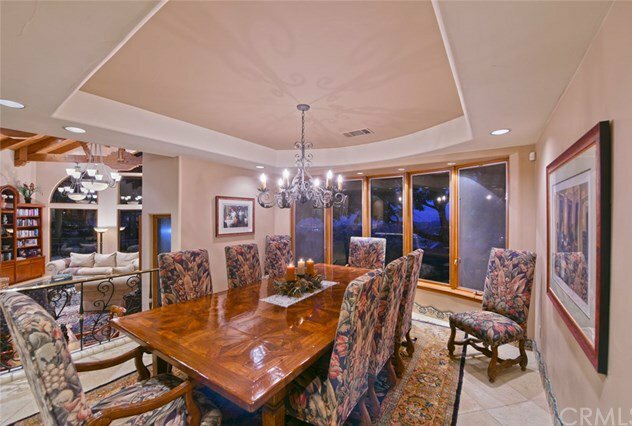 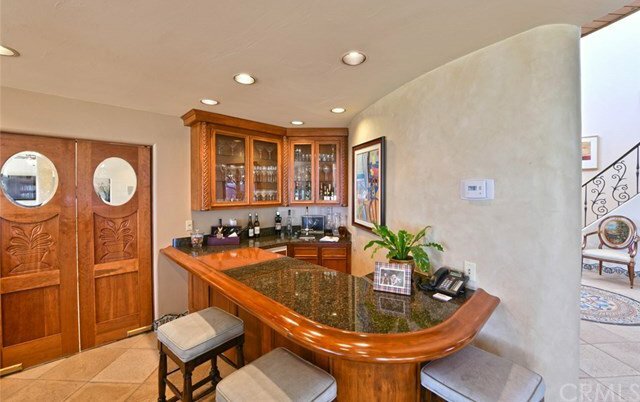 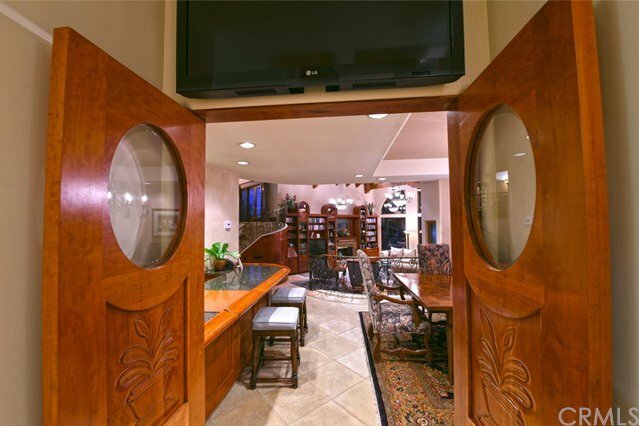 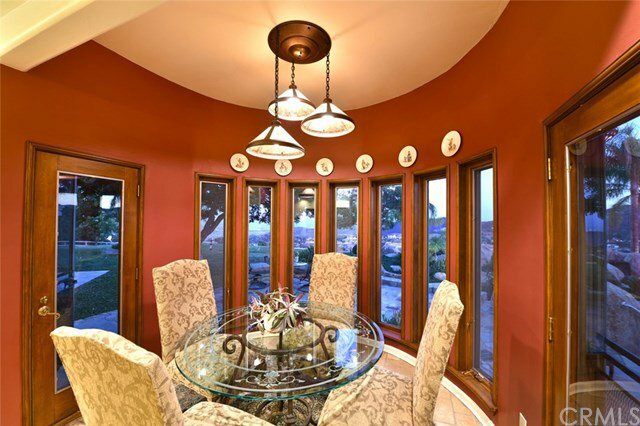 Entertain with ease in the gourmet chef’s kitchen and formal dining room featuring a full bar. 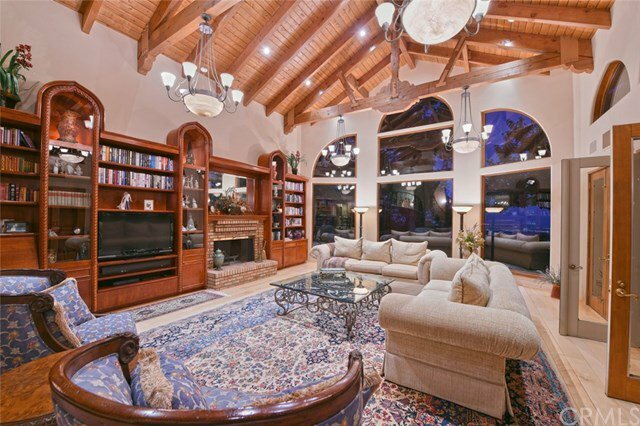 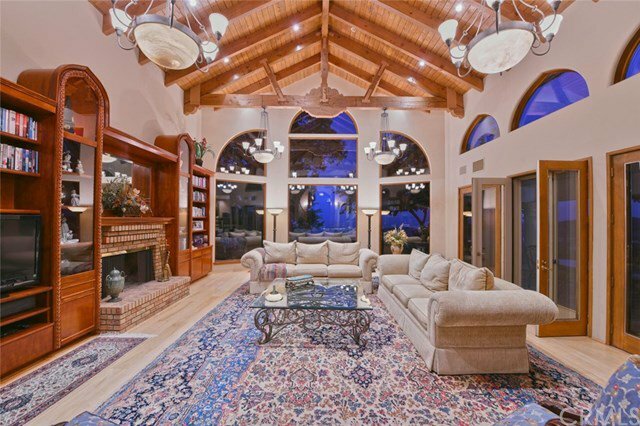 Unwind in the family room and massive living room with soaring beam ceiling while pools of light spill through large picture windows. 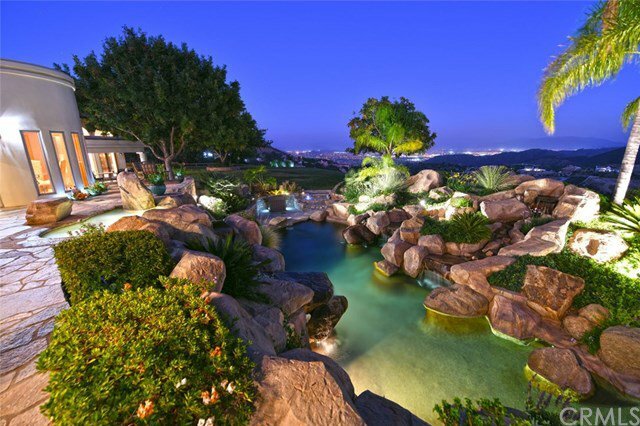 Take a dip in the free-form Rockscape pool and spa, or relax in the cozy cabana. 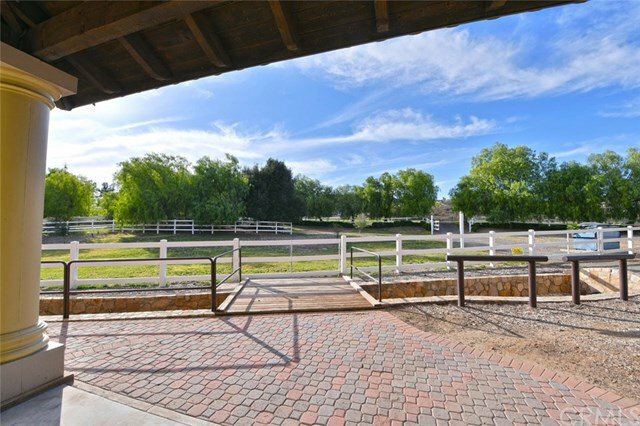 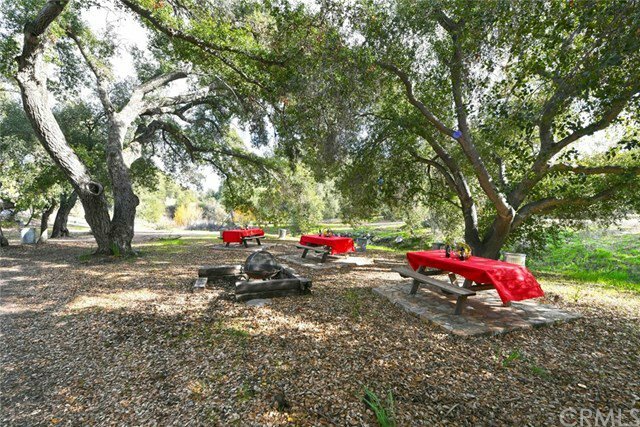 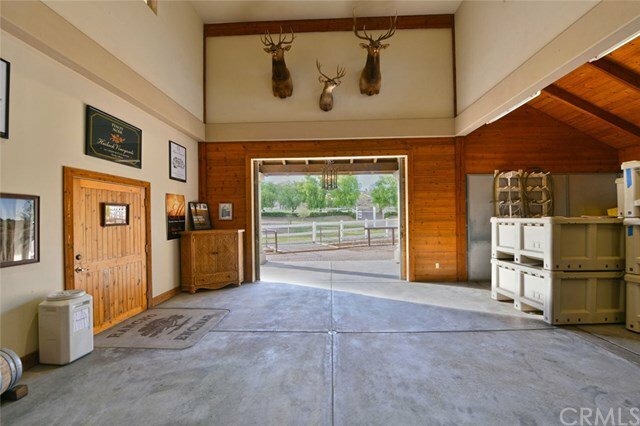 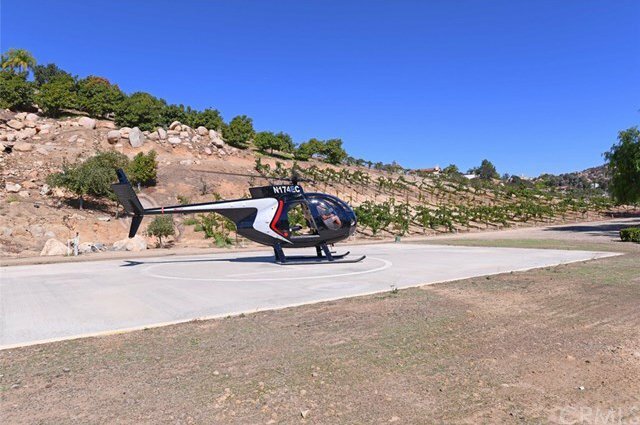 Miles of roads wind through the spacious grounds so you can traverse freely from the helipad to the fully stocked lake, to the equestrian facilities, or the Santa Maria BBQ pit and picnic area. 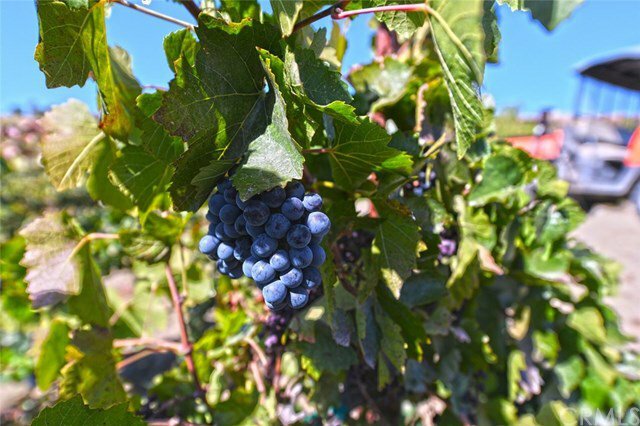 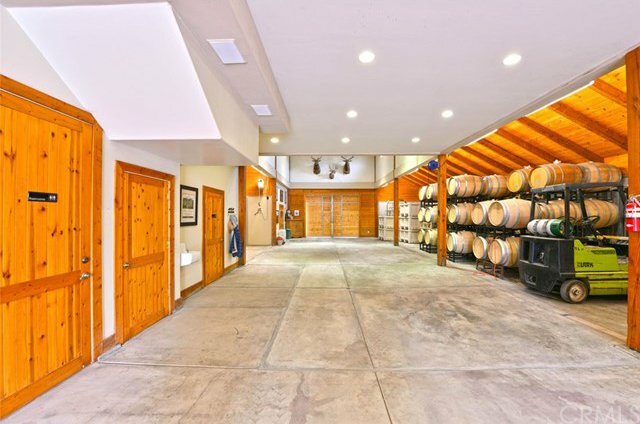 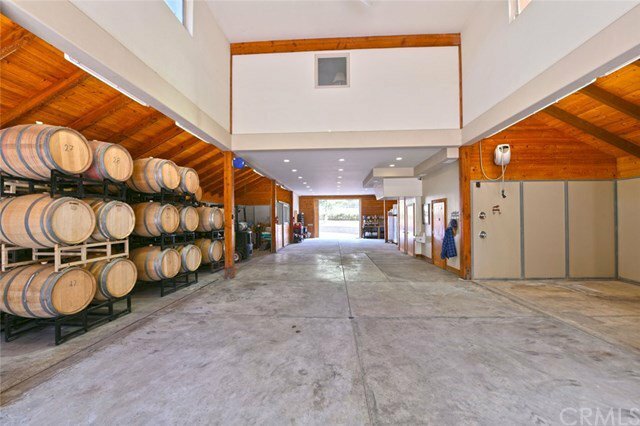 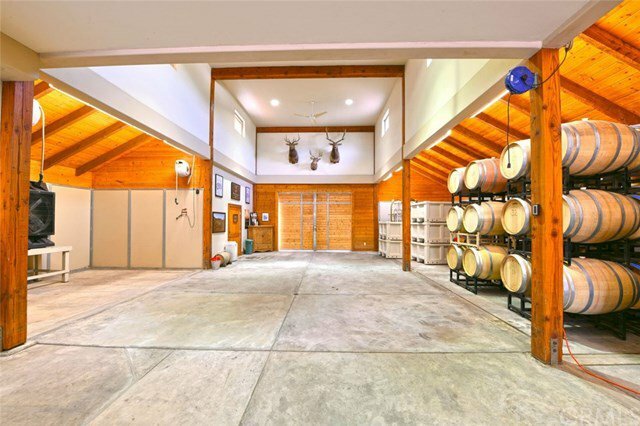 Oenophiles will appreciate the active winery with 5,000 vines that produce award-winning Pinot Noir and Cabernet Franc. 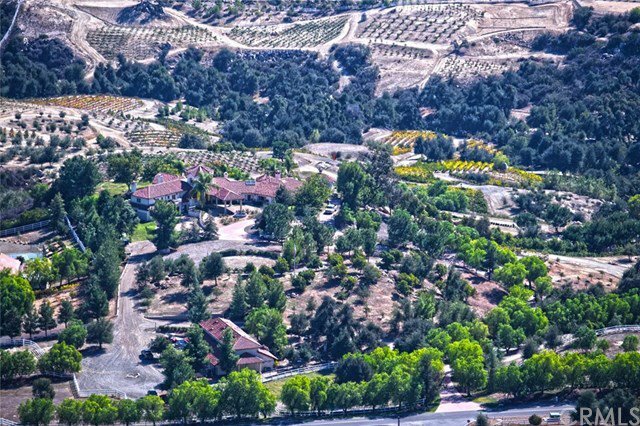 Horticulture enthusiasts will be captivated by mature avocado, olive and Oak trees, as well as the bountiful citrus orchard. 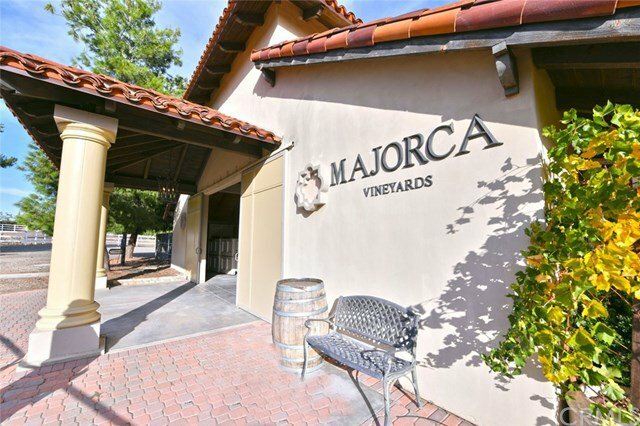 The ultimate private retreat for those with discerning taste, Majorca Vineyards welcomes you!